Business of the Year Banquet Records with Kate Lea, British Land and USS. 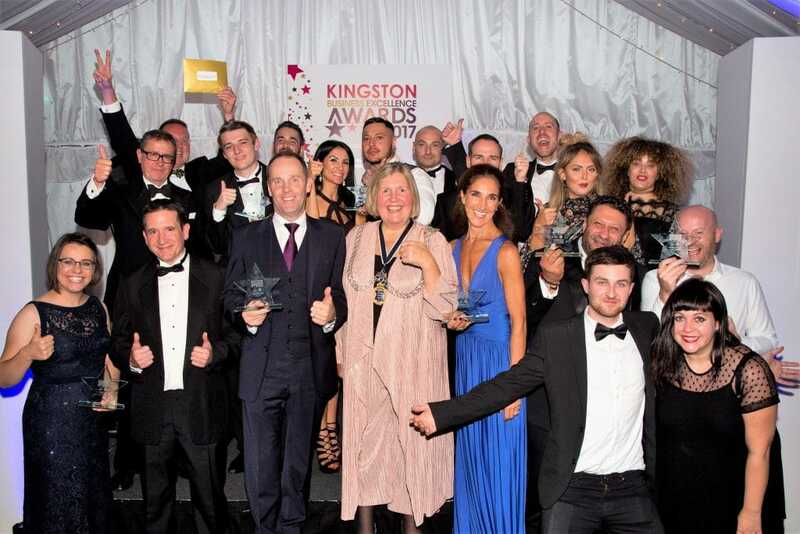 Kingston’s business community was saluted for its vibrancy and innovation at the glittering Gala Dinner of the Kingston Business Excellence Awards in association with British Land & USS. 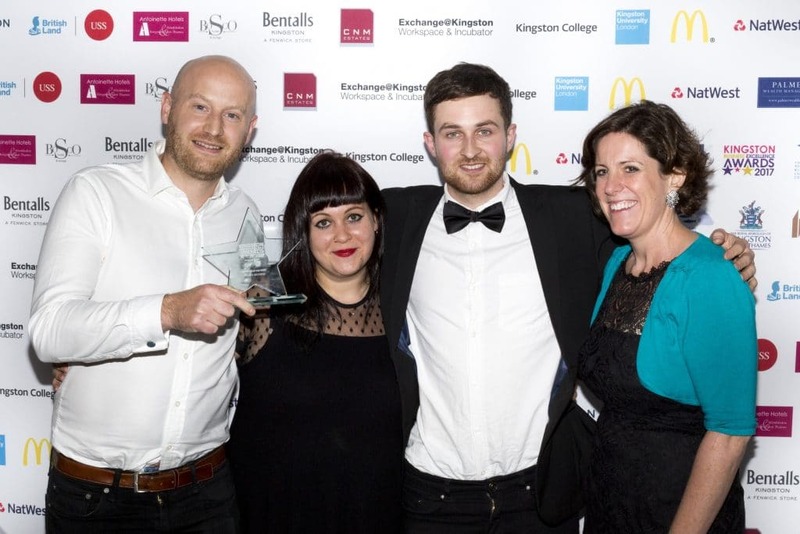 The fifth annual awards celebrating the Royal Borough’s business successes and achievements, was hosted by founding partners Kingston Chamber of Commerce, Kingston Council and Kingston First at the prestigious Ravens Ait venue on the River Thames (Thursday, 12th October). Over 250 people cheered as Banquet Records, the iconic record store in Eden Street, was crowned Business of the Year, ahead of 11 category award winners at the event, compered this year by TV and radio host Becky Ives. Banquet Records, which was set up 15 years ago by Mike Smith and Jon Tolley, has built an international reputation for bringing top bands to the Royal Borough. Guests at the Gala Awards Dinner travelled by boat across the Thames at Surbiton to enjoy a fabulous meal and entertainment at the unique Ravens Ait. Kingston’s Deputy Chief Executive, Roy Thompson, added that the Council was particularly happy to back the Best Start Up award in view of the forthcoming launch of the new Economic Growth and Development Strategy which is aimed at supporting local business​, developing skills and driving prosperity across the borough​. The headline sponsors, British Land & USS, are the owners of the Eden Walk shopping centre in the heart of Kingston, which is set to undergo a multi-million-pound, retail, leisure and residential redevelopment.